Despite all of that, I do believe in making changes in our actions and constantly reevaluating our goals. I often resist doing that at this time of the year out of some crazy desire not to be lumped in with all “those people”. You know the type – “I’m going to lose 15 lbs” and you see them at the gym on January 2nd. But by February, the gym is empty and those people are sitting in front of the tv, eating takeout. I also realized I’ve been hiding out in my new house for the last few months. I’ve been stressed about money, overwhelmed with things to do, anxious about the future and embarrassed by the messiness of my appearance and my home. I love that this box reminds me that “Life’s Good” and Elijah reminds me to break out of my box. He shows me how to be happy and have fun. So that is my next resolution. I need to simplify my life and enjoy what truly matters – my life, my family and my friends. This means working a little less and valuing my time, so that I have more to give. I need to make time for simple routines of fixing healthy meals, exercising, spending time with my boys and keeping my house in order. I also know that when I put my priorities in order and rely on the Lord through prayer and scripture study that everything else will fall into place. Here’s to a New Year, with a new attitude. What are your New Year’s resolutions? As part of Christmas “Adam” (Christmas Eve’s Eve), our family reads the nativity story while all the grandchildren act it out. 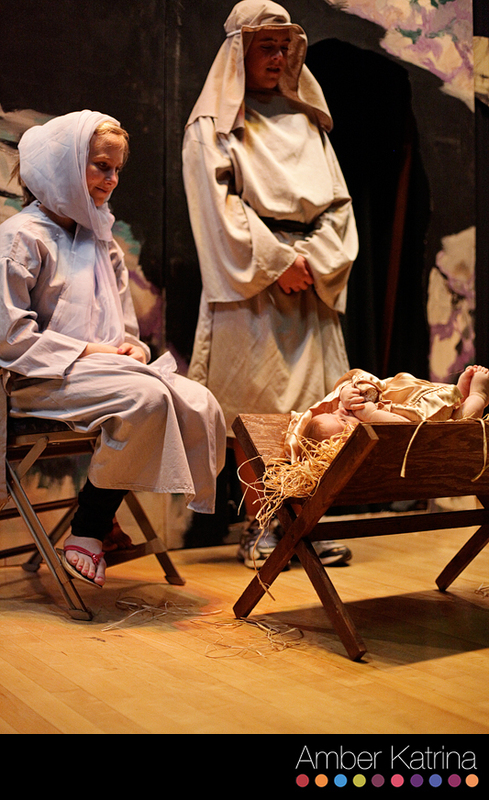 As the youngest baby, little Levi got to play baby Jesus in the play this year. 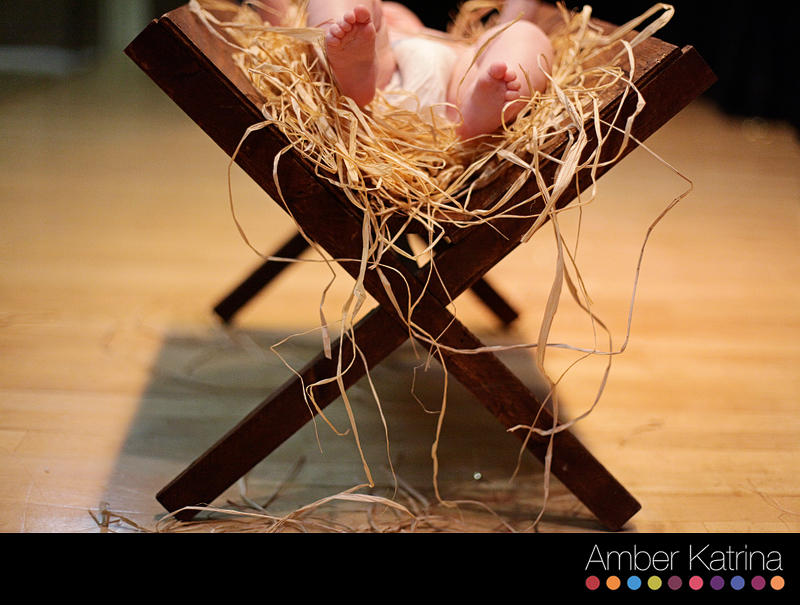 He was so good, laying in the manger just looking up at all the lights. I’m pretty sure baby Jesus didn’t have a disposable diaper, but I opted for convenience rather than accuracy in his costume. I love those little feet! Little Levi just discovered them himself. 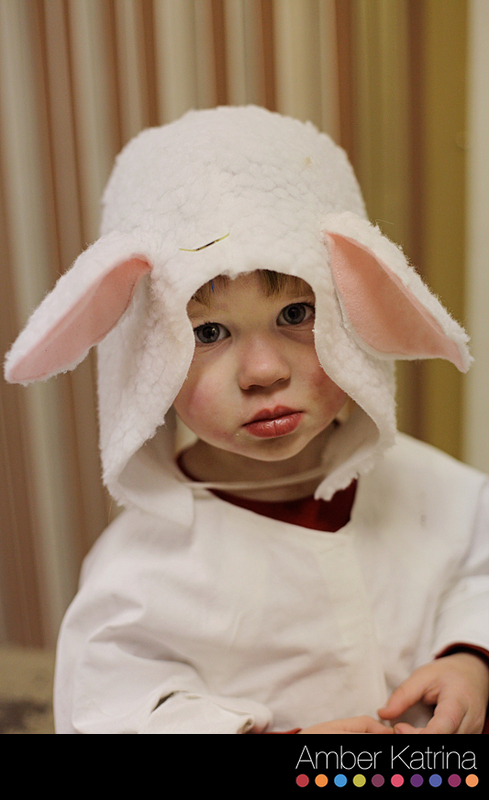 Elijah got to play a little lamb this year. So cute! He wasn’t sure what was going on, but he had fun. I hope you had a wonderful Christmas this year. May you continue to have the spirit of the season with you all year long. The first discount is available to anyone that mentions this promotion. 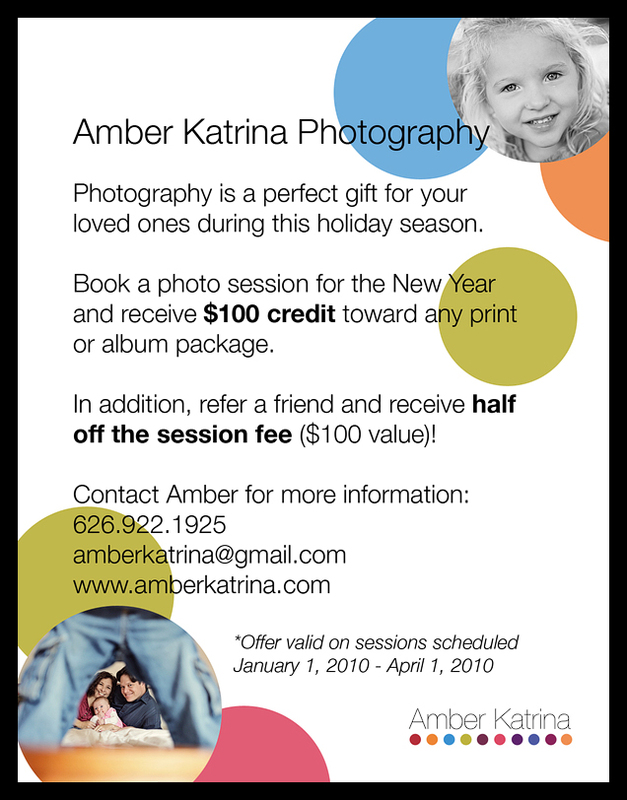 It is a $100 discount on any print or album package. This is an AMAZING deal – up to a 30% discount!! And each package includes the full session of digital negatives – wow! The offer is only good through the end of March. The second offer is an AWESOME incentive to refer your friends, family or anyone you know. 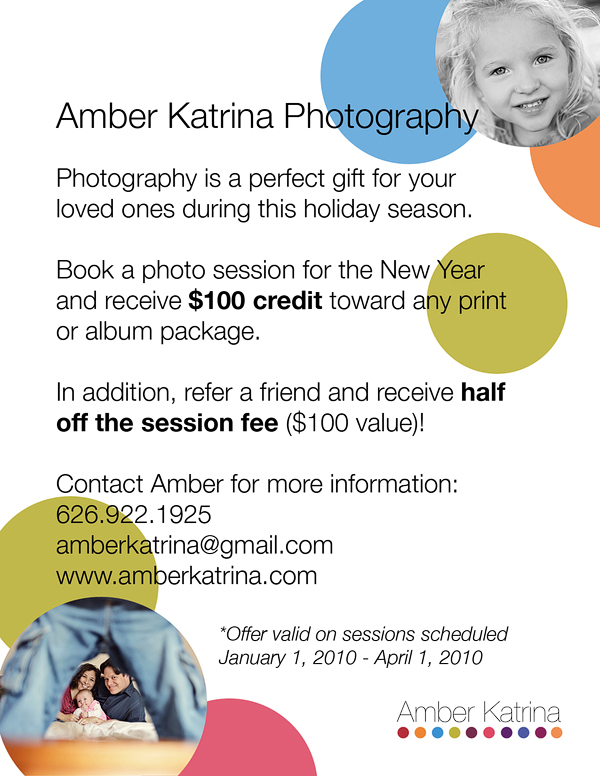 If your referral books a photography session, YOU get a 50% discount on the session fee (worth $100). That’s IN ADDITION to the first discount, so you save $200!! I probably won’t be offering such a big promotion again, so take advantage while it lasts. All sessions need to be booked before the end of the promotion period, and obviously this needs to be a new client (no referring each other). :P So feel free to right click to save this flyer and send it to everyone in your contact list (you never know who will be interested). I know Kimmie through the PCC Parent Education class we take. 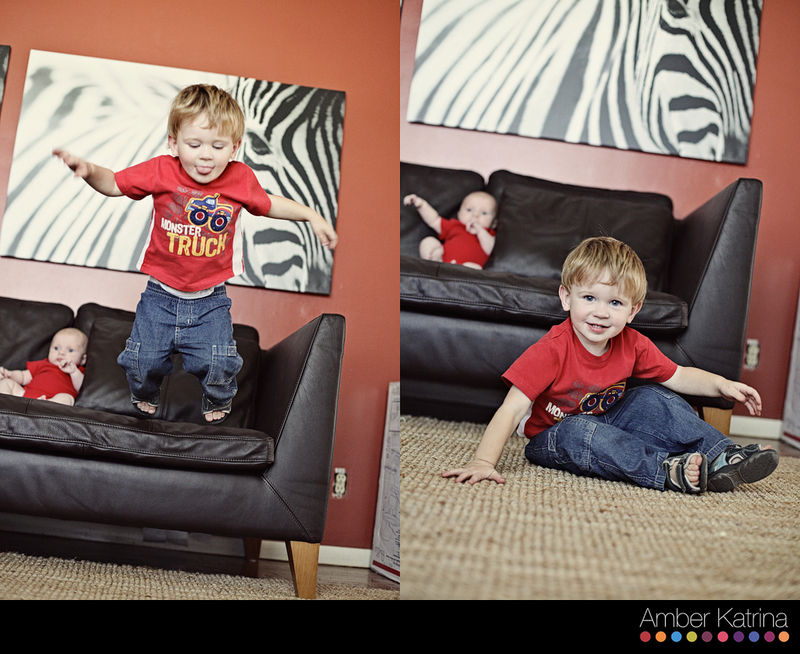 We both have two year old and infant baby boys, so photographing them was like hanging out with my boys for the day. Here is two year old Kai, who loved playing his harmonica. 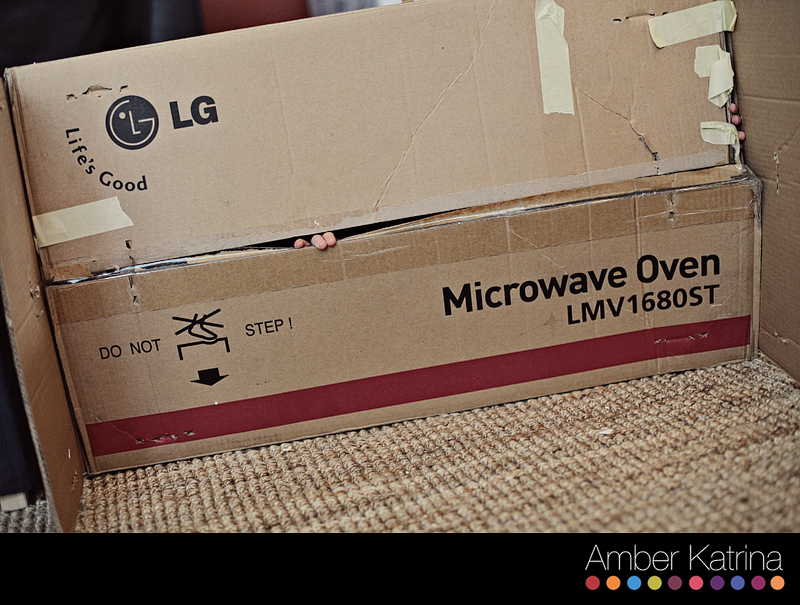 I really like using props like this in shoots with kids. 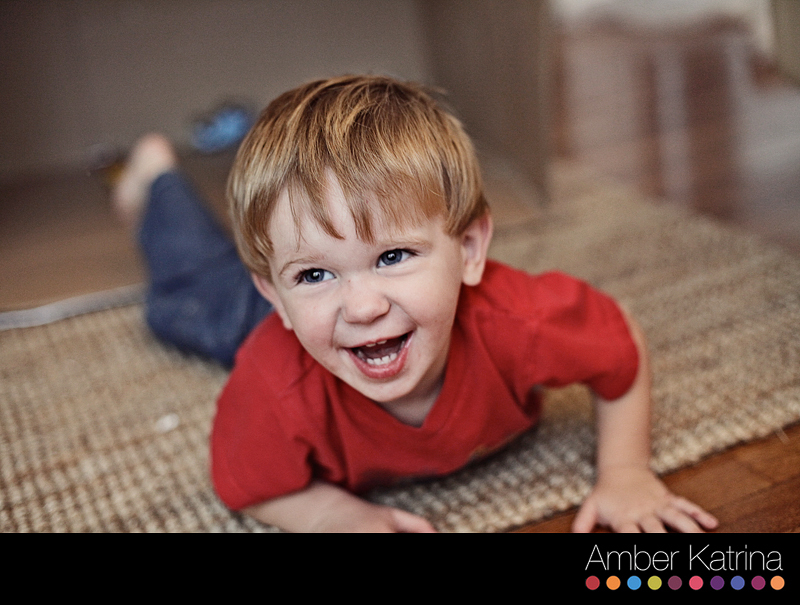 These are toys they already love, so it helps create natural portraits that represent their interests. It’s much better using their own toys, rather than me bringing things they aren’t interested in. And 5 month old Riku. I loved that his name means “land”, which is so appropriate since his brother’s name, Kai, means “sea”. The beautiful Kimmie and Paul. We played around on their bed as a family. I really like using mom and dad’s bed in family sessions. It helps contain the kids in an area and has a very comfortable and intimate feel to it. Kai is such a ham. Kimmie and Paul wanted to replicate the hand framing picture on my website. Well, Kai was a little to young to hold his hands up like that, so we improvised and I love it! Riku is so strong. He kept doing this airplane move instead of regular tummy time. So cute! The brothers together. Kai was very attentive and loving toward his brother. About halfway through the session, we headed across the street to a local park for some different shots. I love this one – so cute! But I think this is my favorite shot from the session. Kimmie and Paul are so sweet together. A couple last shots as a family. Ohhh – thanks for asking me to photograph your family Kimmie. I had so much fun. I would love to just hang out with you guys all the time. Back in the days before digital photography could airbrush away imperfections, my cousin spent the good part of one morning trying to hide a bruise that her son had managed to get on his chin during a playground spill. While she would have let it just run its course most times, he had kindergarten pictures, so she worked like a Hollywood make-up artist to make his skin as flawless as possible. The father wants the picture to accurately show the child he loves exactly how she looks. He claims that such corrections are “a sign that people refuse to accept the world as it is.” The company that took the pictures has apologized. Does your child have any “imperfections” that you’ve tried to hide? Have you ever had your kid’s picture touched up? As a photographer, I usually ask my clients what their preference is. As a general rule, I fix temporary imperfections like a zit or scrape, but leave any permanent birthmarks or scars. I actually prefer hair and skin looking as natural as possible. I LOVE flyaway hairs, laugh lines and baby wrinkles. They add character to the pictures and reflect who we really are. What is your opinion on Photoshopping imperfections? Should they be removed or kept?